RyanFodder earned the Tenth Anniversary badge. RyanFodder earned the Ninth Anniversary badge. RyanFodder and malia earned the Building Memories badge. RyanFodder and malia earned the Pokébadge badge. RyanFodder, DigiKid, AlexDeGruven, Farge, elyxandra and 2 others earned the Athletics! badge. RyanFodder earned the Eighth Anniversary badge. RyanFodder earned the Ten. MILLION. Points badge. RyanFodder earned the One. MILLION. Points. badge. RyanFodder earned the 500 Awesomes badge. RyanFodder earned the League of Extraordinary Icrontians Season Five Level 5 badge. RyanFodder earned the Seventh Anniversary badge. How much would one of these would cost to make? A fair amount. Couple hundred? RyanFodder earned the THING badge. 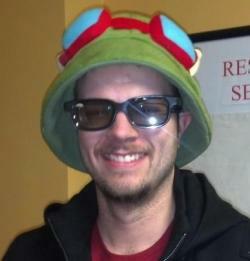 TIL you are wearing a Teemo hat in your avatar. RyanFodder earned the 250 LOLs badge.